Last year the Charles Owen British Pony team secured double gold in Arezzo, Italy, with all six squad members finishing in the top 15. The selectors of the British Pony squad have now made their long list for the team who will defend these 2013 European titles at the 2014 FEI Pony European Championships at Millstreet (IRL), 30th July – 3rd August. 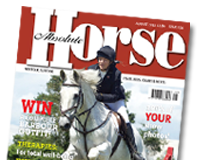 Shortlisted from our region is Isabelle Upton, 15, from Suffolk riding Alfie XI or Howen Loganberry.